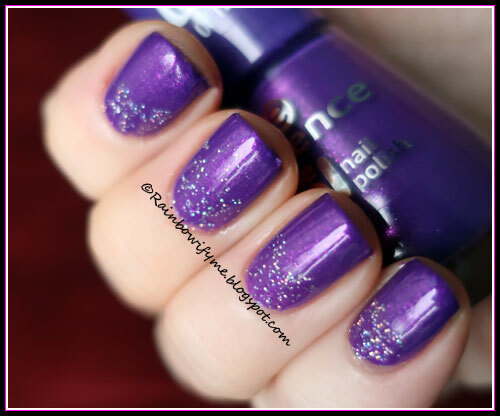 Today I’m going to show you a gorgeous purple polish. The formula is great and so is the coverage. I used two really easy coats for my manicure and the drying time was good. I wanted to keep it simple so I brushed glitter by the base of each nail. I used QRS “Glittering Rainbow” as my glitter polish. It’s a simple holo microglitter in a clear base. It’s similar to “Northern Lights” from Out the Door, the drying time is just less amazing in the QRS version. Anyway, here’s the end result, including a layer of topcoat. Isn’t that just a gorgeous polish? 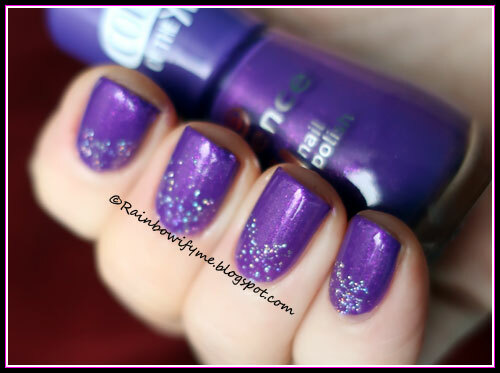 “Ultra Violet” is absolutely beautiful, I love it!! 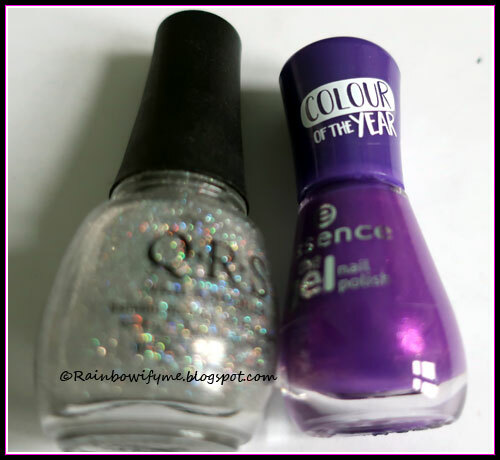 Overall impression: I love everything about this polish!